April 25, 2019 (810) 487-0954 Four Great Races, One Beautiful Island. Join over 1,100 participants to kick off the Lilac Festival with a scenic 10K through downtown, Island interior and shoreline! 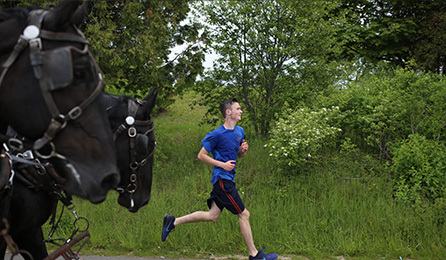 Race the Island perimeter for the 49th year of this exciting and scenic summer-ending event. Over 1700 participants expected! 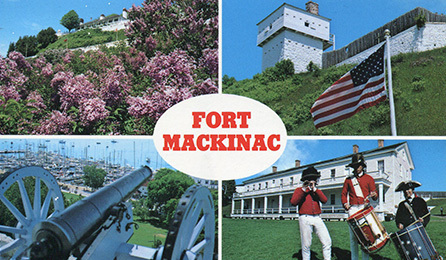 Travel the trails in the largest race on Mackinac Island! Over 2500 participants – great swag! Race the Island perimeter on Saturday, September 8 for the 48th year of this exciting and scenic summer-ending event. 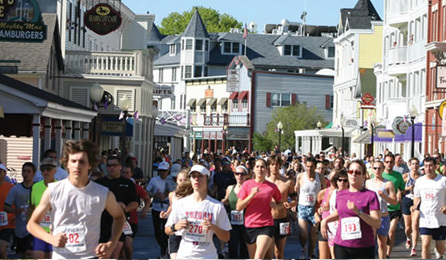 Join over 1,000 participants on Saturday, June 9, to kick off the Mackinac Island Lilac Festival with a great morning race. 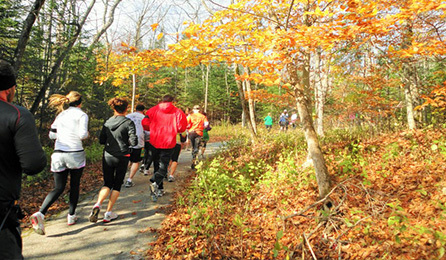 Travel the trails on Saturday, October 27 in the largest race on Mackinac Island! Over 3000 participants! RUN ALL THREE TRADITIONAL EVENTS AND GET A SUPERSIZED MEDAL!